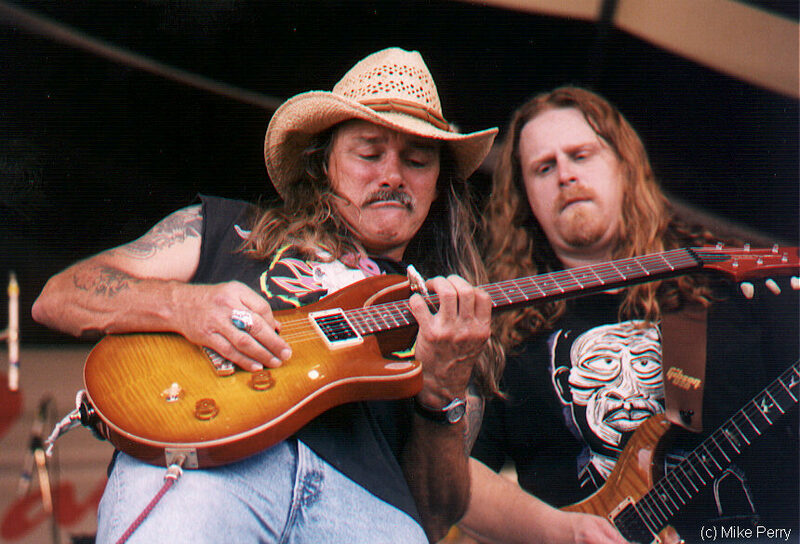 Regular readers of Ear of Newt may have noticed that I, the Newt, really like posting excerpts from my four interviews with Dickey Betts. It’s not just because he’s a guitar legend. Or because he was in the freakin’ Allman Brothers. Though that’s part of it. But I also just like listening to his voice. As a northerner–north of the United States, that is–that southern drawl gets me. And it doesn’t hurt that Betts seems to put a lot of thought into his comments. As he is onstage through a Les Paul, he’s a great communicator over the phone. So here’s another audio excerpt from the interview I did with Dickey back in 1991, when the band was touring behind its Shades of Two Worlds album. At one point in the conversation I asked him who he’d been listening to in his spare time lately, and it turns out he’d been gettin’ all jazzy with it. imagine if this had a proper title- “Dickey Betts talks about what he listens to in his spare time” it would have so many more clicks and views and maybe even comments!